Silver Flame Steakhouse is a Tulsa Restaurant Full of History! 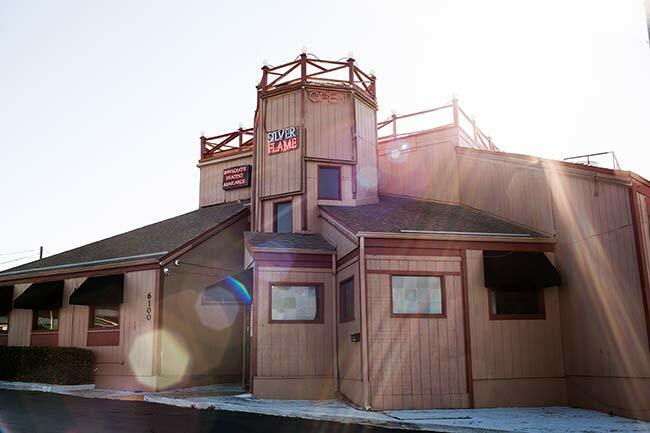 For the best in steak and seafood, Silver Flame Steakhouse is a cut above the rest. 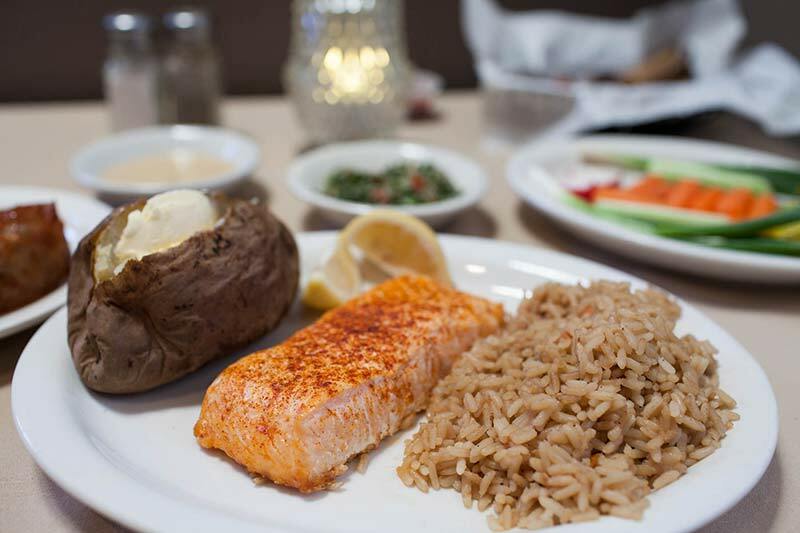 As a favorite Tulsa restaurant, we meld Middle Eastern flavors with our mouthwatering steaks and an array of seafood choices. 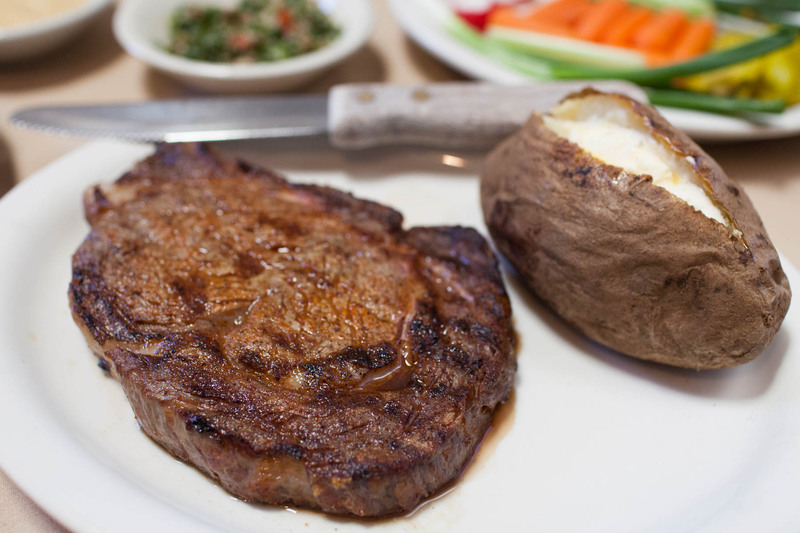 Locally owned and operated for over 30 years, we are the home of the best rib eye in Tulsa. Accent any of your choices with a glass of wine from our extensive wine list, a selection from our imported and domestic beers, or sip on a drink from our full bar. Feel free to enjoy your meal or tip back a glass with a cigarette or cigar in our self-contained smoking section. Looking for a night on the town? Let our diverse lineup of live musicians keep you tapping your toes into the night every Tuesday through Saturday. Join us for dinner and a prime steak! The Best Hickory-Grilled Steaks in Tulsa – and a Middle-Eastern Flair! Whether you’re dreaming of a full-flavored steak or if your taste buds are pining for a taste of the sea, we can fulfill both your steak house and seafood cravings under one roof. 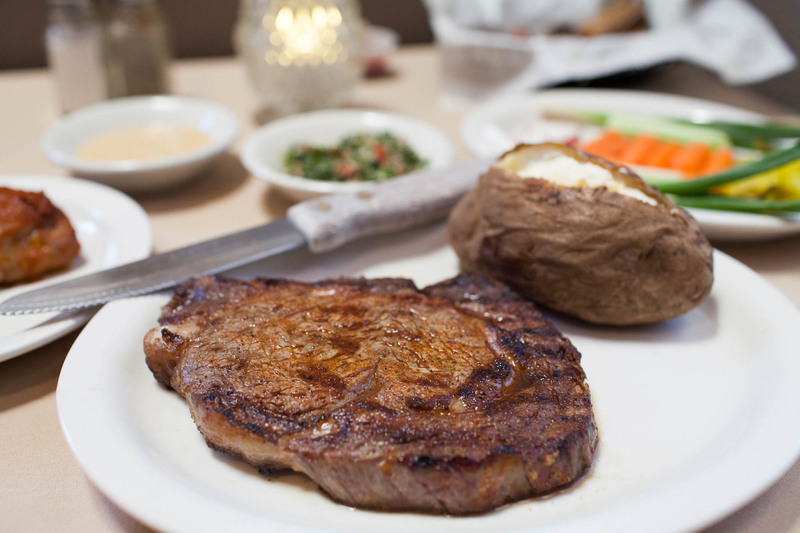 We feature eight assorted cuts of steak; from our legendary ribeye to our porterhouse. 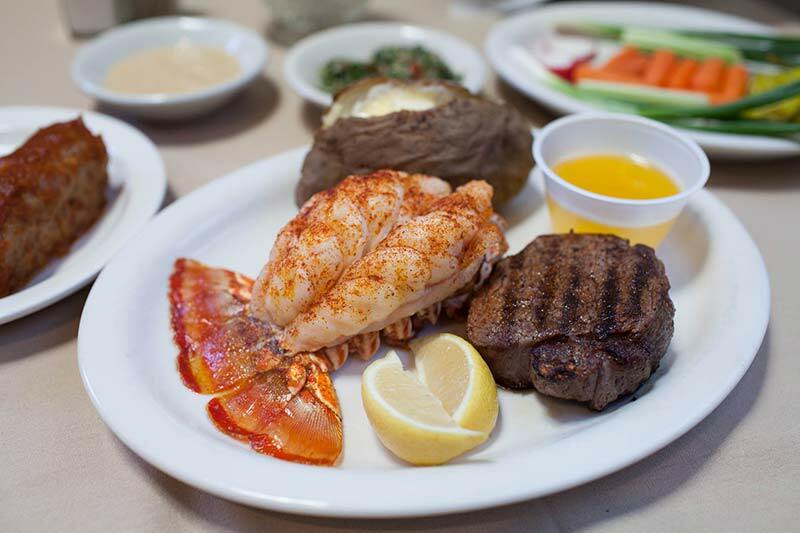 In addition to our steaks, we offer a wide variety of seafood including orange roughy, salmon, a broiled halibut steak, lobster, shrimp, and Alaskan crab legs. Not in the mood for beef or seafood? Give our pork tenderloin, chicken kabob, or other featured dishes a taste. 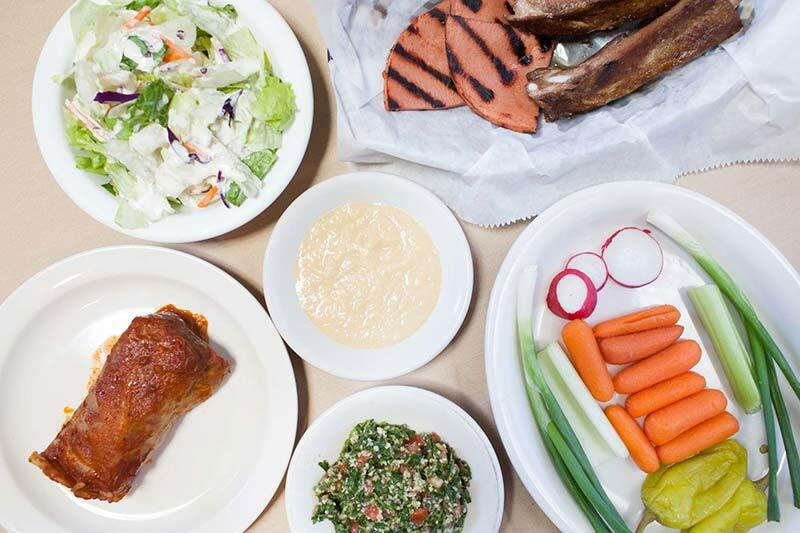 To accent your meal with Mediterranean flavor, each lunch and dinner features a side of our hummus and tabouli salad. To make your experience complete, choose any one of our delicious dessert items. Looking for a midday meal for a steal? Check out our many lunch specials. 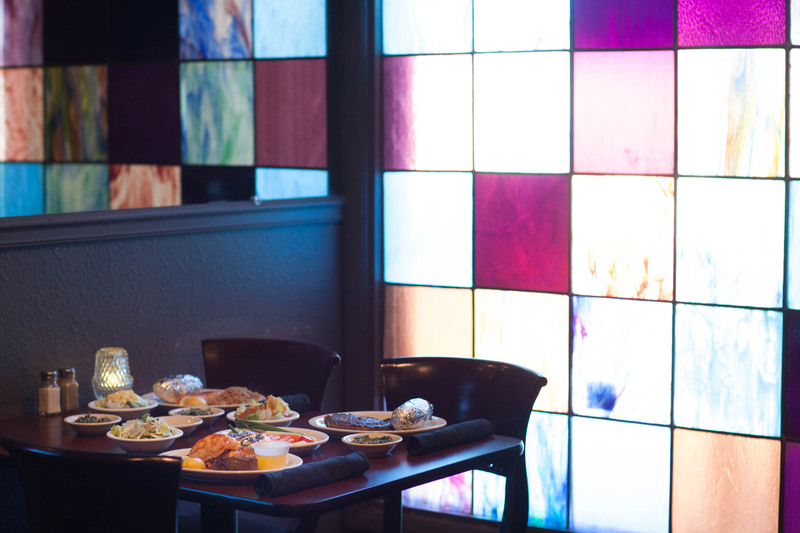 We’re proud to have some of the best lunch specials of any Tulsa restaurant. We are grateful to have served Tulsa, Oklahoma for over 24 years.